There are many personal insurance policies available directly through insurance companies but there are also many policies and policy options with different levels of protection for you to consider. Unfortunately many families who thought they had insurance have found out only too late that their policy was inadequate. Often it is only when you have a claim that you learn that your insurance policy does not cover your loss under certain circumstances or situations. Don’t let this happen to you…..
Our brokers are well trained in all types of personal insurance policies offered by insurance companies. 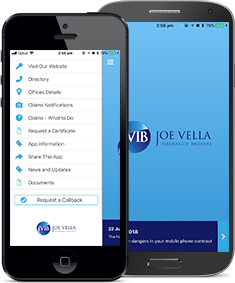 JVIB will recommend the appropriate insurance policy to protect your personal assets. If you would like a personal insurance quotation, please feel free to contact us on (07) 4040 4444 or 1800 937 111.